Label/Packaging: I believe this manufacturer is in the development stages, so the label is incomplete. 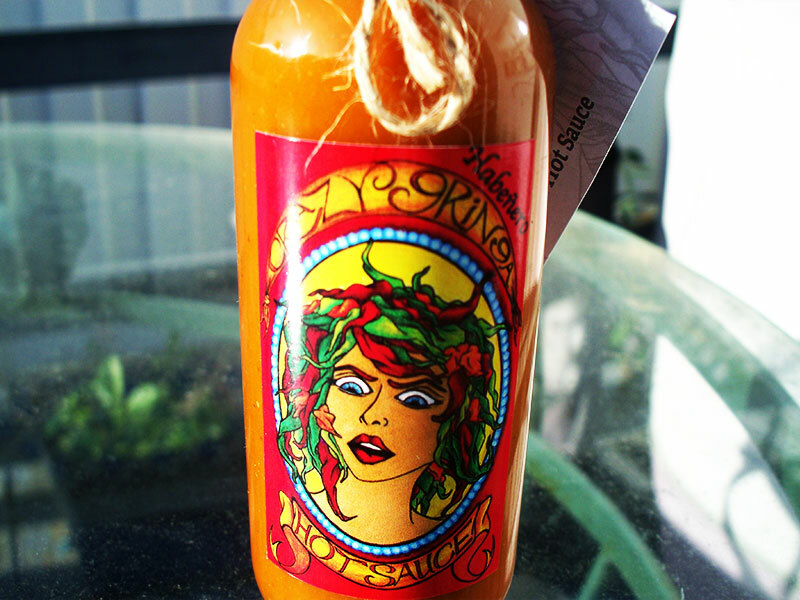 Currently it consists of the front panel with the name of the sauce and company with a Medusa looking woman with peppers for hair. The back panel is devoid of the ingredients, etc. Appearance/Aroma: The appearance of the sauce is very nice, a deep orange color, very well mixed, smooth, and a little thin. No seeds or skins are visible. The aroma is interesting. I could not place it at first, but it smells a bit like a taco sauce to me. I do not see cumin on the ingredients, so I guess it is the mix of peppers that I am smelling. It is a pleasant smell that makes me hungry! Ho hum, another habanero sauce. Or is it??? Aha! Now I know why I think tacos, it is the tomatoes along with the peppers that gives it that taste. The tomato is the first thing you get, then the vinegar, then the mix of the different peppers ending with the habanero. I am not really tasting the habs as much as I would like. While I liked the use of the other peppers with the jalapeno sauce from this maker, I think they take away from this one. I would like the habs to be more up front in this one. Then again, the combination of everything works well to give you a mild Mexican style sauce. I guess that would be a to each his own thing. I also do not notice the garlic in this one. 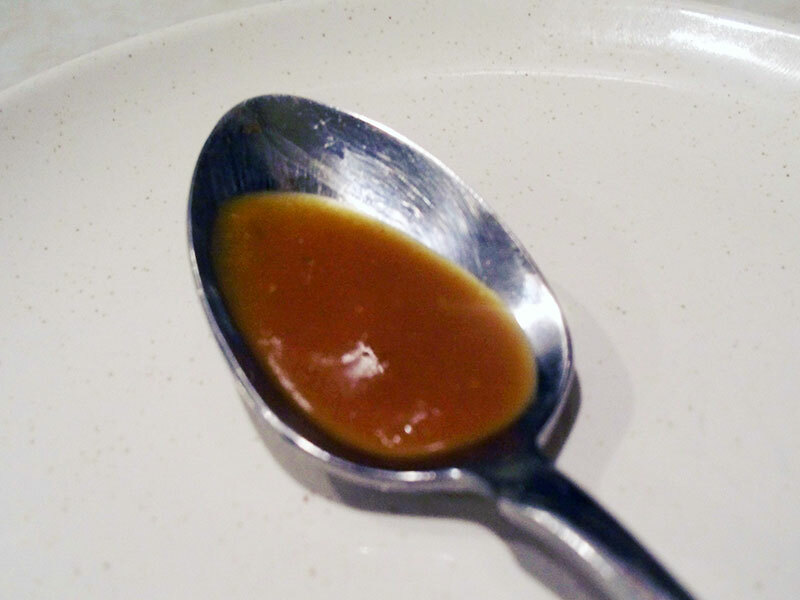 The sauce has a great consistency, a little thin, but not too much. Perfect for pouring all over your food. I am impressed at how well mixed this is for a handmade sauce. The heat is a little lacking. Don't get me wrong, it is there in the aftertaste, a slight warm glow all over your mouth. If there were more habs and less anaheims that would ramp it up a bit too. Applications: TACOS!! This sauce screams for them. I know it can be used on other things, like chicken, and maybe eggs, but trust me... tacos. Notes: I would rate this a good sauce. For me, it could use a little more habanero taste and heat. It suffers a little in the versatility department, but where it is good (tacos) it is perfect. Did I mention that it is good on tacos?